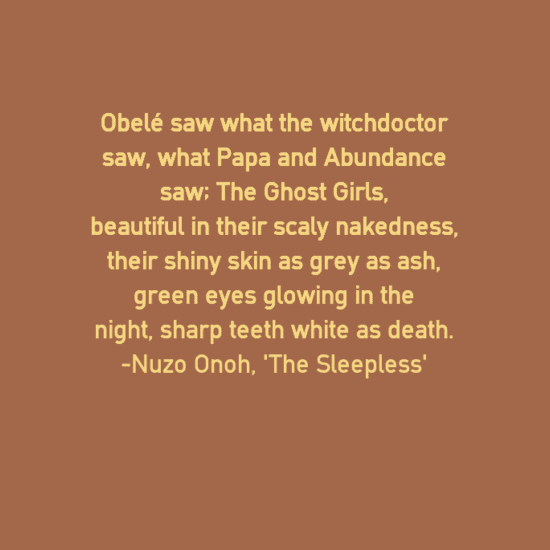 Up next in my celebration of Nigerian women writers is the 'Queen of African Horror', Nuzo Onoh, whose passion as a writer has been to re-define the term 'African Horror'. 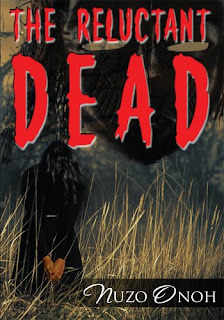 With an annual publishing date of June 28, Onoh has published three books in the last three years: her debut collection The Reluctant Dead, a collection of three novellas Unhallowed Graves and her most recent novel The Sleepless. Although Onoh started writing at a young age, as she explains in an interview with Starbust magazine, it was not until she was almost fifty that she finally felt she had 'a sense of freedom [to] do what [she] wanted to do'. What did Onoh do? Well, she went back to Warwick University (where she also has a law degree from) to do a Masters in Creative Writing. This is definitely the right time! ... when I was younger, I had no idea what genre I wanted to write in. I wouldn't have realised that African horror is a brand that is just as exciting and relevant as horror from other parts of the world ... I wouldn't have marketed myself in this way or realised there was an audience for my stories. 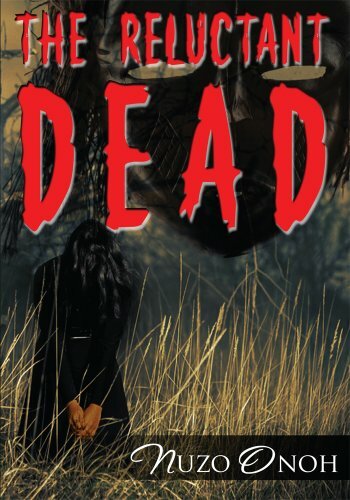 I've been championing the term as a bona-fide sub-genre, just like Scandinavian, Korean, Japanese horror etc., rather than a negative condition of the continent as mostly portrayed by the popular media ... My books ... have introduced this hitherto unknown genre into mainstream horror literary genre. Kaidan stories are ... old-times Japanese ghost stories or oral traditional folklore, just like African horror stories. They are local stories, set in a particular village/region revealing local customs and beliefs. Based on Buddhist philosophy, there is a strong moral element to Kaidan stories. Karma plays an important role, with ghostly vengeance for wrong-doings featuring frequently in tales. 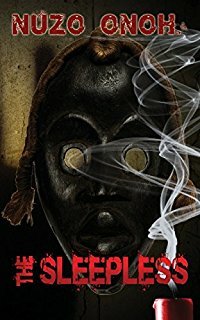 This is also quite similar to African ghost stories and each single one of my stories portrays the supernatural consequences of bad actions or omissions by numerous characters ... both the Kaidan and the Igbo/African traditions see a continuous link between life and death, with the dead playing an active part in the lives of the living through hauntings, possession or reincarnation. From these, one can see that there is a strong theme of death, the afterlife and supernatural revenge common to both the Igbo/African beliefs and Japanese Kaidan stories. 6. Amos Tutuola, the famous author of 'The Palm-wine Drinkard' and 'My Life in the Bush of Ghosts' is the father of African Horror. 9. African Horror stories are not Folktales, contrary to popular conception. 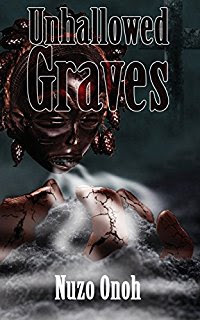 These days, modern African Horror is written in prose and style similar to mainstream horror, which readers from all over the globe can relate to. Onoh's writing has been described as 'compelling', as 'very super natural' and 'with plenty of creepiness and plenty of horror', and as 'enchanting'. 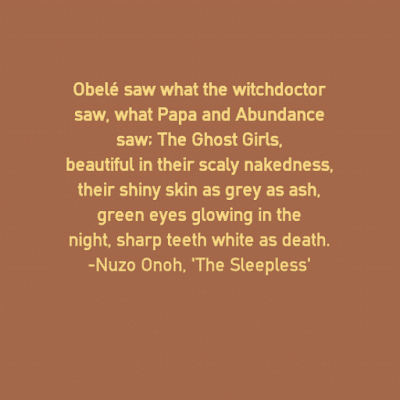 Find out more about Nuzo Onoh on her website and here's Onoh on BBC Focus on Africa, talking about The Sleepless and on the BBC's World Service 'The Fifth Floor' talking about The Reluctant Dead.